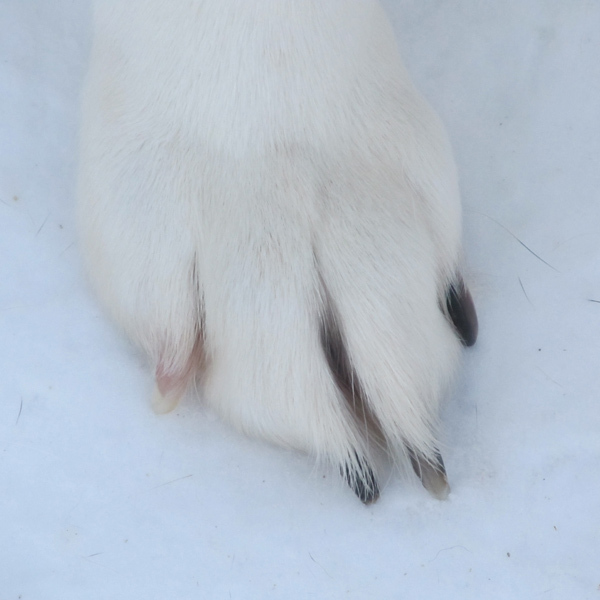 Here are Casper's and Spirit's forepaws in winter. 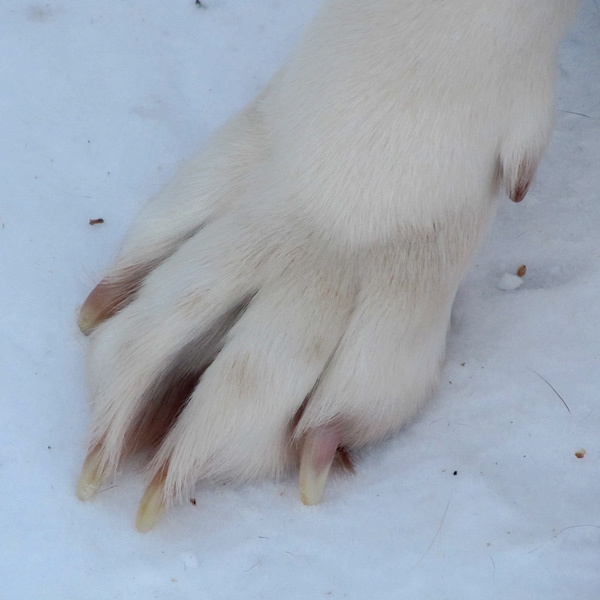 The nails are growing long and give the dogs grip in the packed snow, the fur is growing thick and long and it helps insulate between the toes and the foot pads. I never stopped to notice how dogs paws differ. Horses, yes. Dogs, not until now. Thank you!